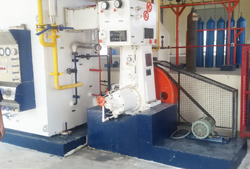 Manufacturer of a wide range of products which include psa oxygen gas generator. We are leading supplier & distributors of PSA Oxygen Gas Generator. DCPL is a reputed manufacturer/exporter and supplier of PSA Oxygen Gas Generator. Looking for PSA Oxygen Gas Generator ?